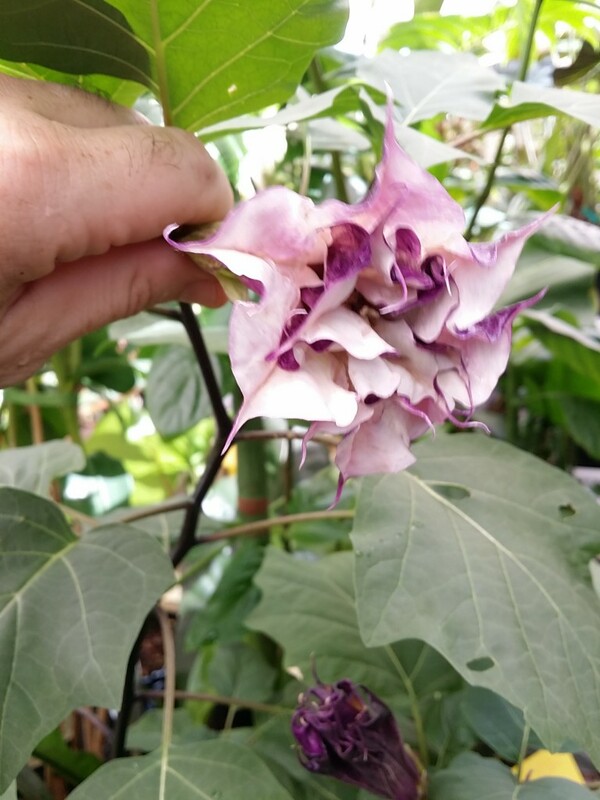 Exotica Tropicals will be open Wednesday – Saturday this week. 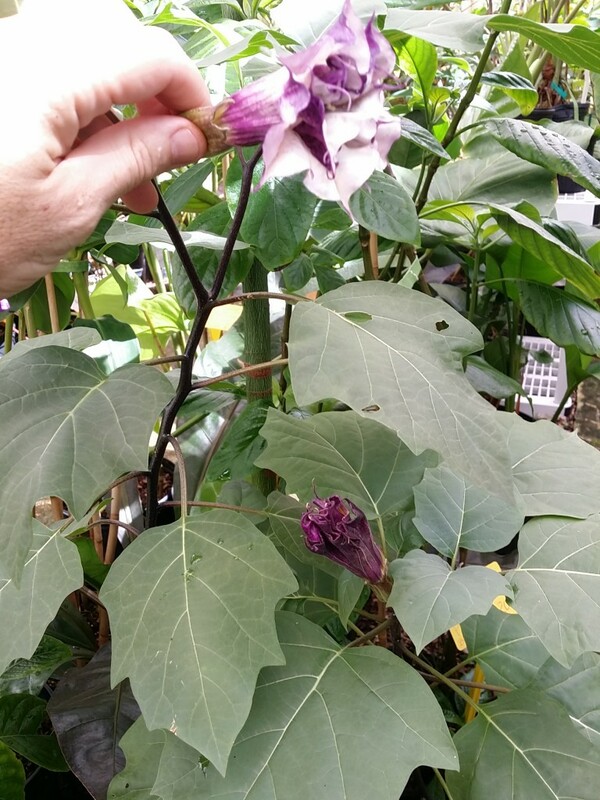 We have some blooming Devil’s Trumpet (Datura metel) in stock- just in time for Halloween! 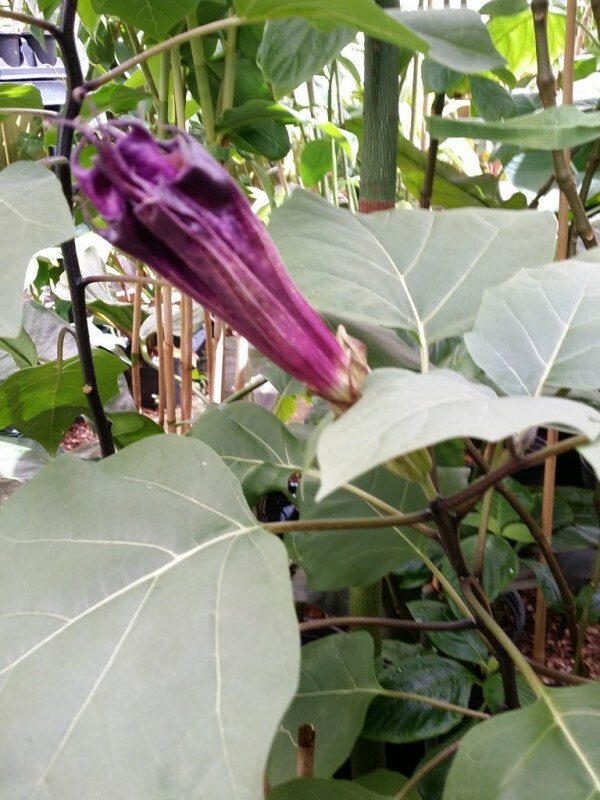 Devil’s Trumpet sports a jet black trunk/stem and creepily beautiful deep purple ‘trumpet’ flowers with a white center. Easy to grow and alot of fun! Supply is limited, so stop by and grab one soon..